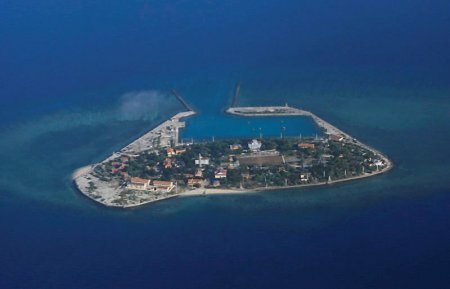 HANOI (Reuters) - Vietnam on Thursday opposed what it said was a Chinese announcement of military exercises in the disputed South China Sea, amid rising tension between the neighboring countries. Vietnam did not give any details of when it said the announcement was made or when any drill would take place. China's Foreign Ministry did not immediately respond to a request for comment outside of business hours and it was not immediately clear which drills the Vietnamese statement was referring to. The statement from Foreign Ministry spokeswoman Le Thi Thu Hang said Vietnam was deeply concerned about drills in the region of the Gulf of Tonkin, north of the disputed South China Sea. "Vietnam proposes China to cease and refrain from repeating acts that complicate the situation in the East Sea (South China Sea)," Hang said, adding all foreign activities in Vietnamese waters must be comply with Vietnamese and international laws.